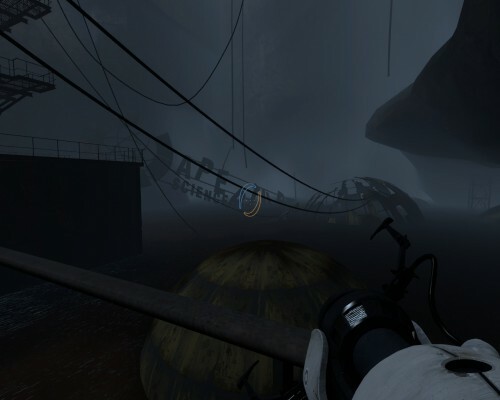 This is, rather unexpectedly, one of the main themes of recent computer game Portal 2. 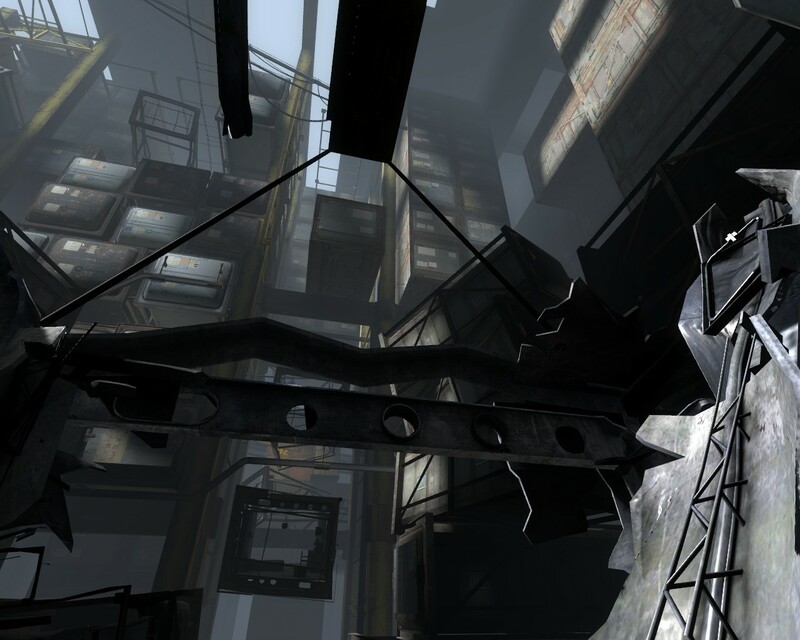 The first game placed the player in the role of Chell, who finds herself at the mercy of an insane computer that insists on running her through a series of scientific tests long after the scientists at the facility have disappeared. 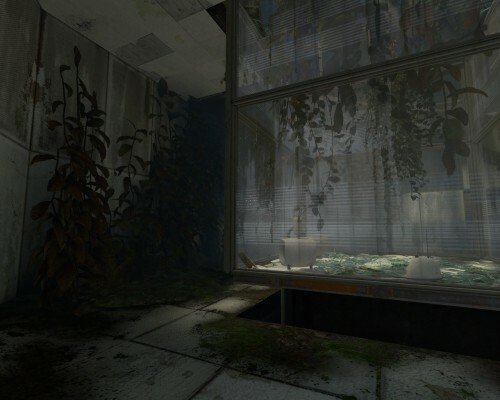 The second game pushes this undead persistence of capitalism further, beginning with Chell awakening an indeterminate amount of time later, after an indeterminate catastrophe has left the testing facility ruined and overgrown. It turns out this does not effect the testing, however, as recorded announcements inform you of “emergency testing protocols,” put in place to ensure smooth corporate functioning in the case of, as the announcements make clear, increasingly unlikely disasters, including massive space debris and the takeover of the Earth by “some manner of animal king, sentient cloud, or other governing body that either is incapable of or refuses to listen to reason.” The imperturbability of the company in the face of disaster is reminiscent of apocalypse insurance, real-world financial products which guarantee a payout in case of some particular catastrophic event, such as the collapse of the financial markets; always assuming, of course, that the financial markets have continued to function past the apocalypse. The series of recorded announcements and informational graphics through which the game shows you this capitalist hubris, and indeed explains most of its plot, is an example of the incredibly careful way the game is crafted. The details of the setting, from way plants colonize the previously pristine setting of the first game, to the period details through which the game communicates the age of the abandoned company properties through which you end up traveling, are all pitch perfect. More subtly, perhaps, the way the game plays exhibits the same attention to detail. The game is largely pedagogical, carefully introducing gameplay elements (the portals of the title, deadly lasers, various gels which alter the properties of the surfaces on which they land) in such a way that you are gradually encouraged to figure out first, what these things are, and then, how to use them to solve increasingly complicated problems. The smoothness with which the game leads players through these gaming challenges perhaps means that an interesting point that the game makes about the concept of “game” may pass unnoticed. 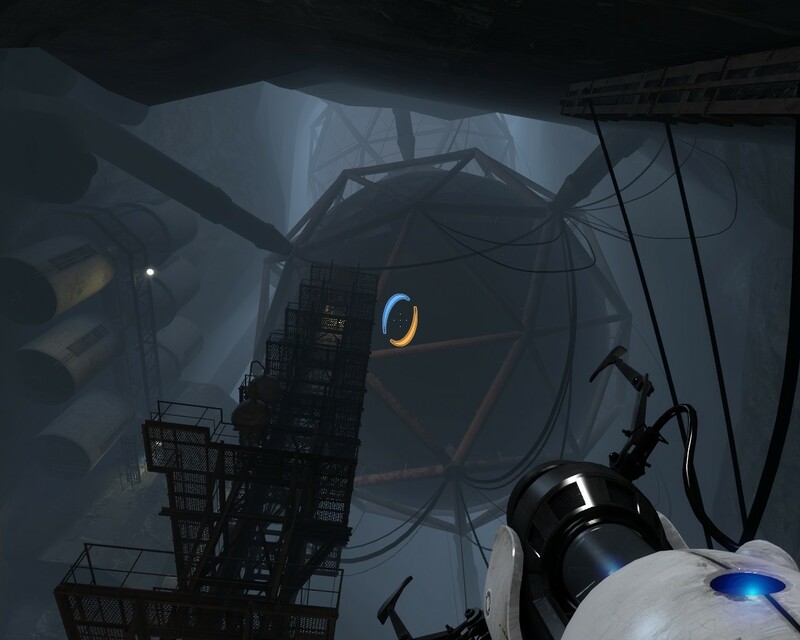 For much of the game, the player guides Chell through series of “testing chambers”; in each of these, Chell is presented with a nominal goal – to open a door, or get a platform to rise, or project herself across a vertiginous gap. But these are never her actual goals; her actual goal is to escape the testing facility entirely. Meanwhile, the player has a whole other set of goals; perhaps to “beat” the game, but also to explore it. In this counterplay of different motivations there’s a reminder of the strangely abstract character of “interest” in game theory. People often criticize rational choice theory for imaging human beings as purely selfish, but “utility maximization” isn’t even selfish in any kind of moral sense, because the utility to be maximized is completely separate from any specific content; it’s a purely formal, and limitless, drive. Traveling through the remains of the development of the company, the player discovers the demographics of the test subjects changing, first to waged employees, and later to temporary workers, lured in off the streets with the promise of six dollars for each test completed. In the short comic that was released alongside the game, we discover that Chell herself became a test subject after filling in a recruitment questionnaire asking, “would anyone file a police report if you went missing?” (An announcement in the game informs us that “All safety devices have been disabled. Aperture Science respects your right to have questions or concerns about this policy” – a fine depiction of democracy under neoliberalism). The conditions of neoliberal employment are also shown in the attitude of GLaDOS, the deranged computer in charge of the facility, to Chell. GLaDOS mounts a sustained psychic assault against Chell, finding inventive ways to call her fat, and expressing a great deal of concern over the supposed fact that she is an orphan (which, GLaDOS caringly insists, is terrible). The combination of disposability and intimate psychic involvement is what Nina Power describes as immaterial capitalism’s insistence that we each be an advert for ourselves (it’s perhaps significant here, too, that both GLaDOS, the personification of capital, and Chell, the personification of the proletariat, are female).